Celebrating Mardi Gras is a New Orleans tradition dating back hundreds of years. Many visitors and locals see the parades and floats without realizing where and how they are made. 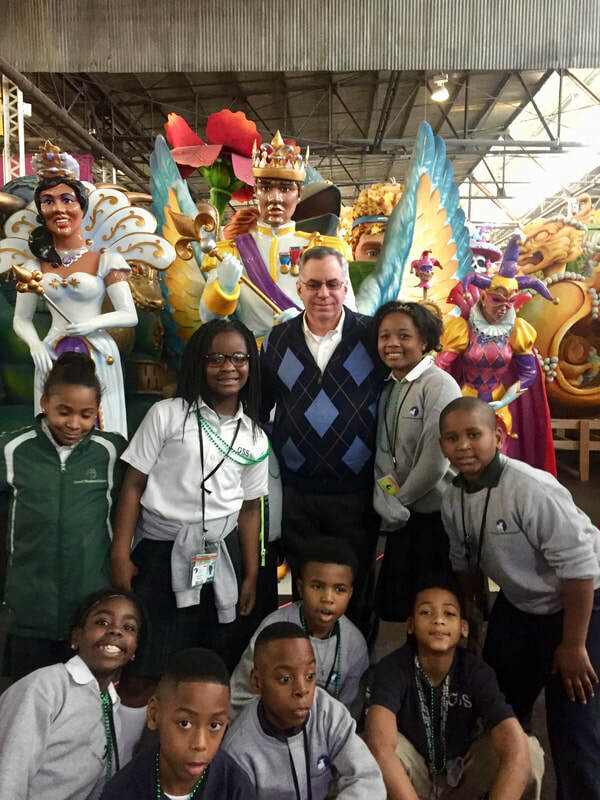 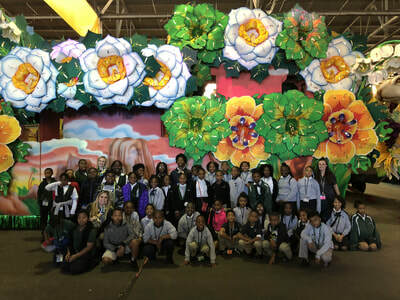 To teach the GSS students about the tradition of Mardi Gras, Mr. Barry Kern hosted all students to Mardi Gras World. 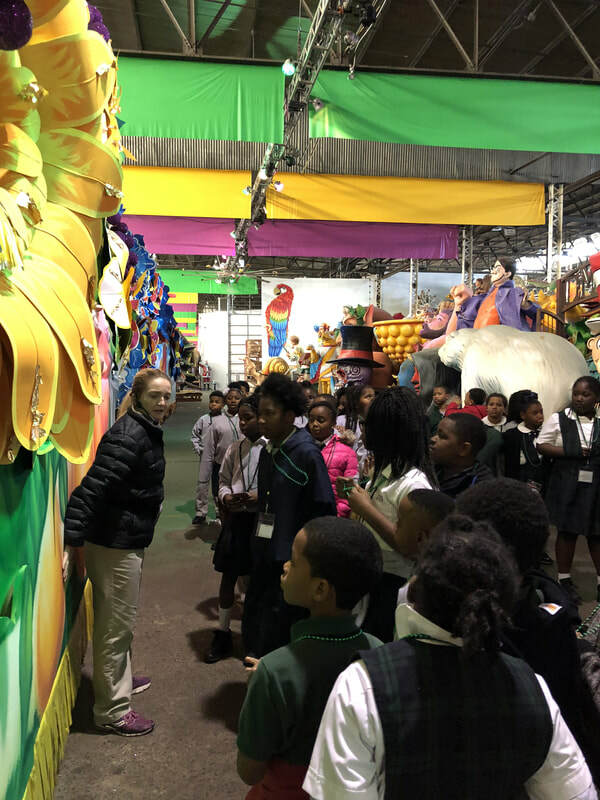 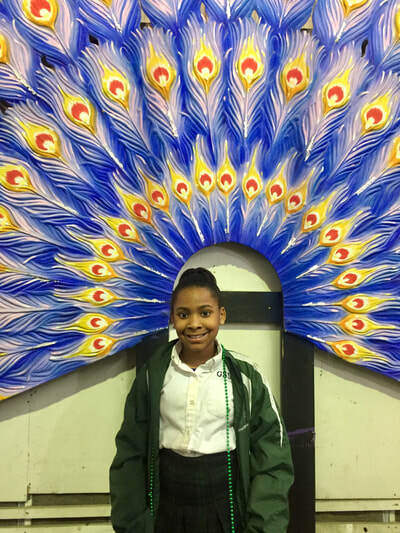 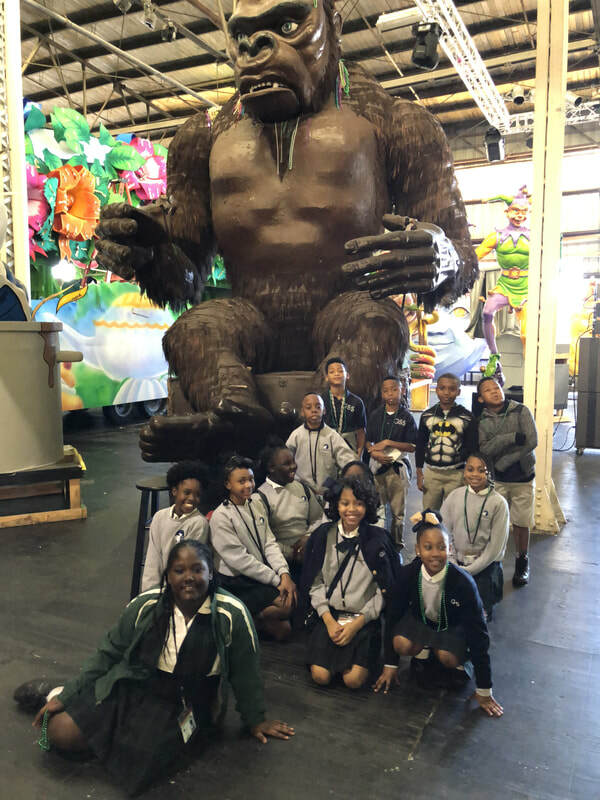 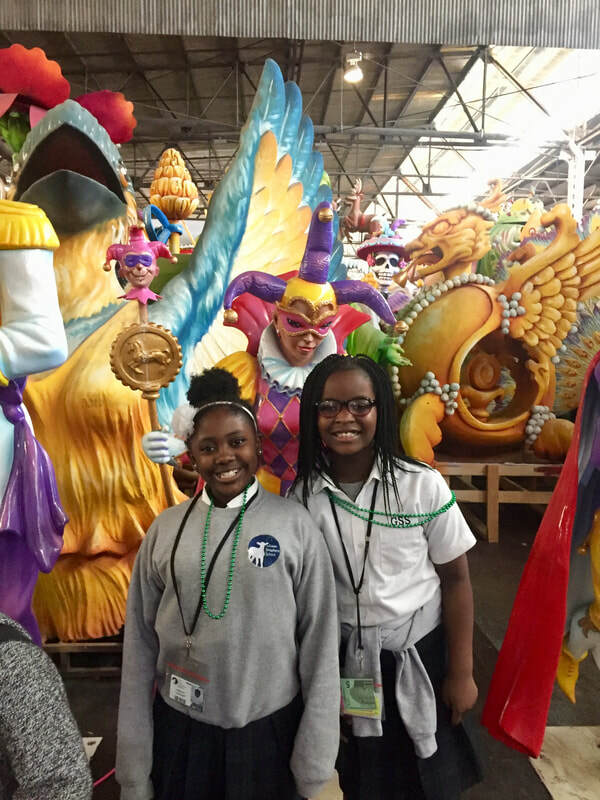 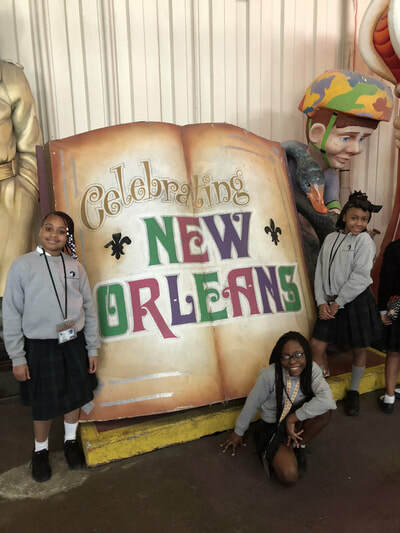 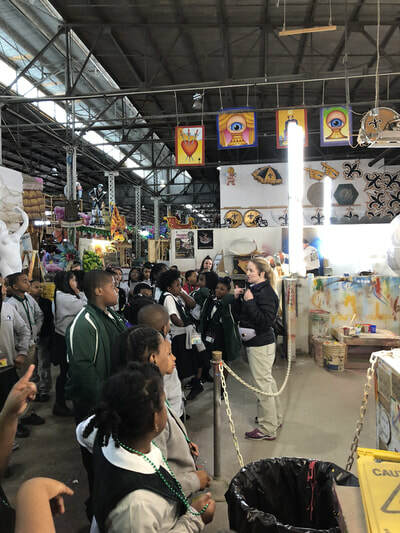 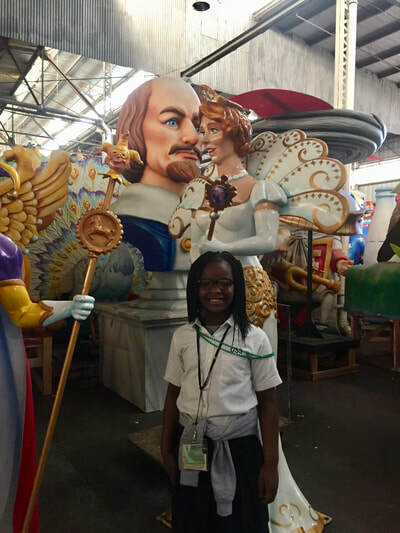 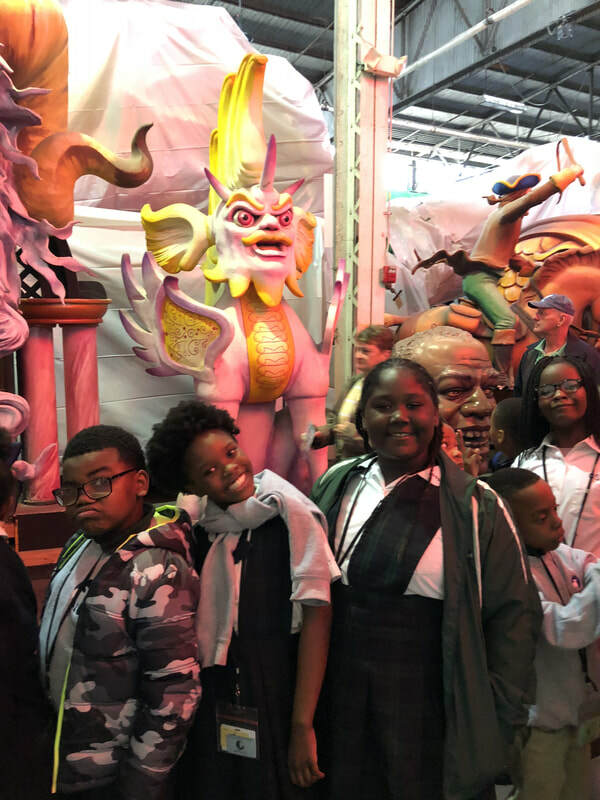 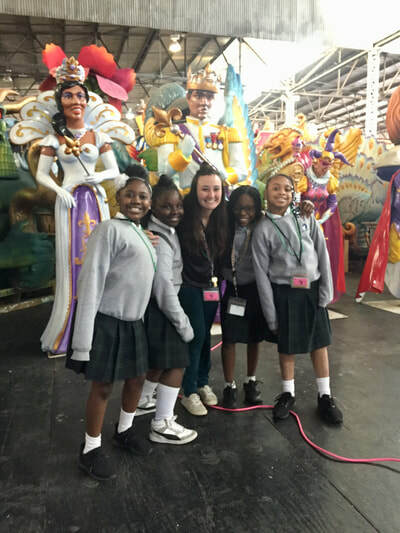 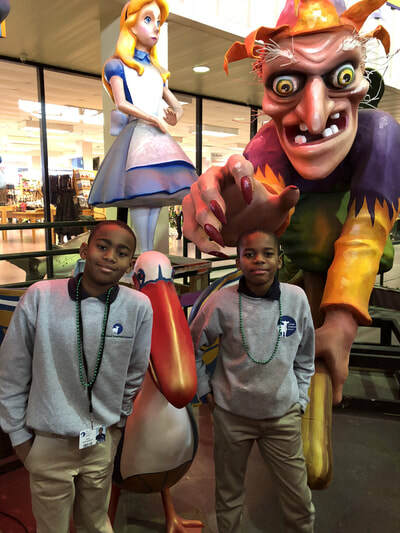 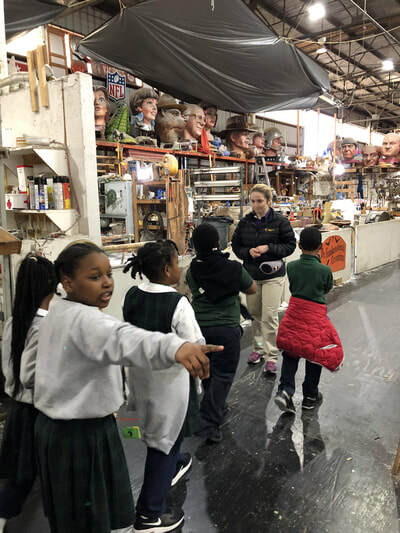 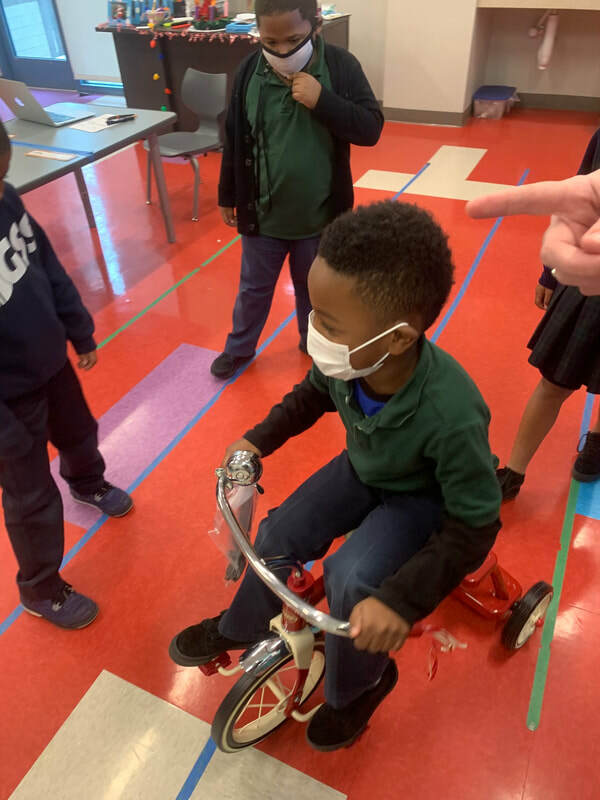 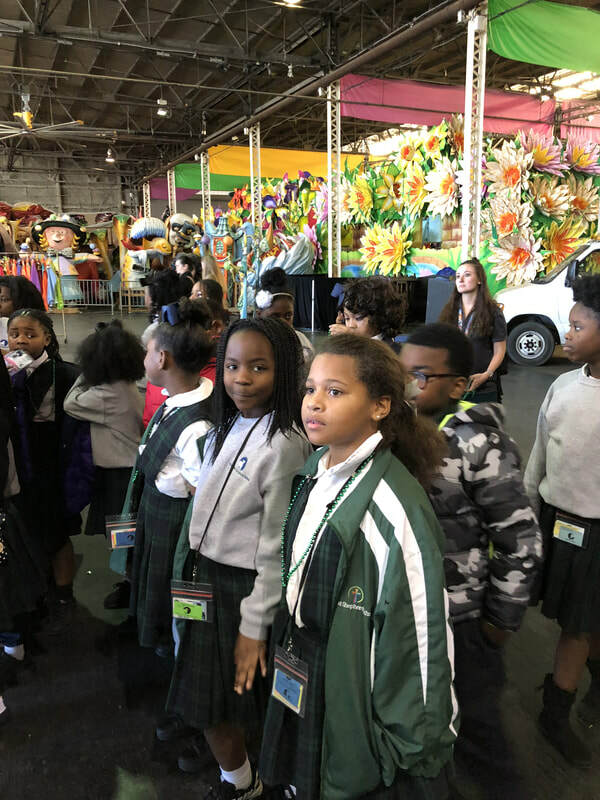 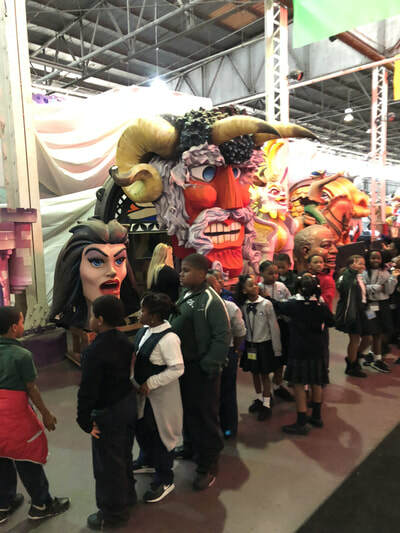 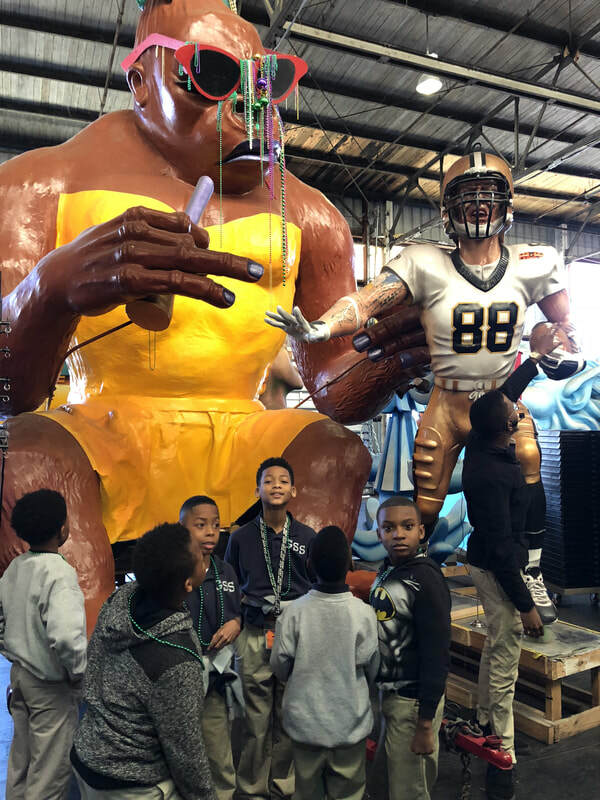 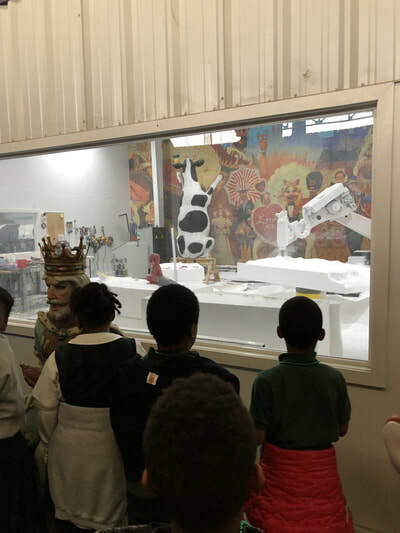 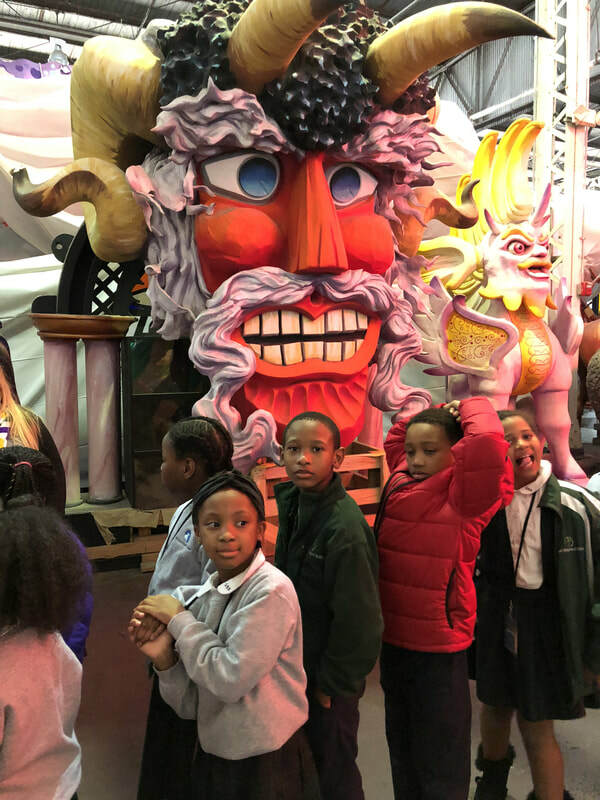 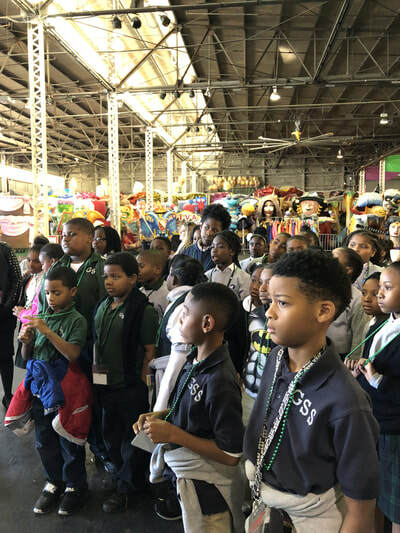 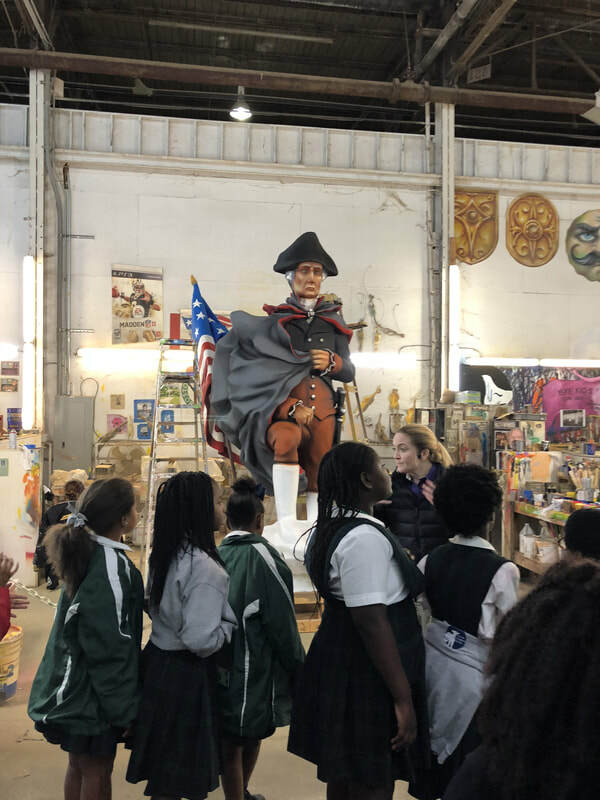 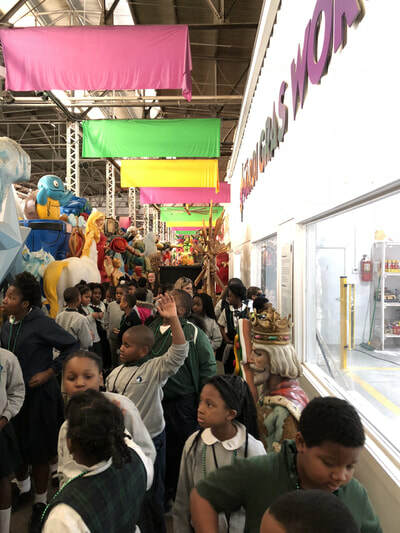 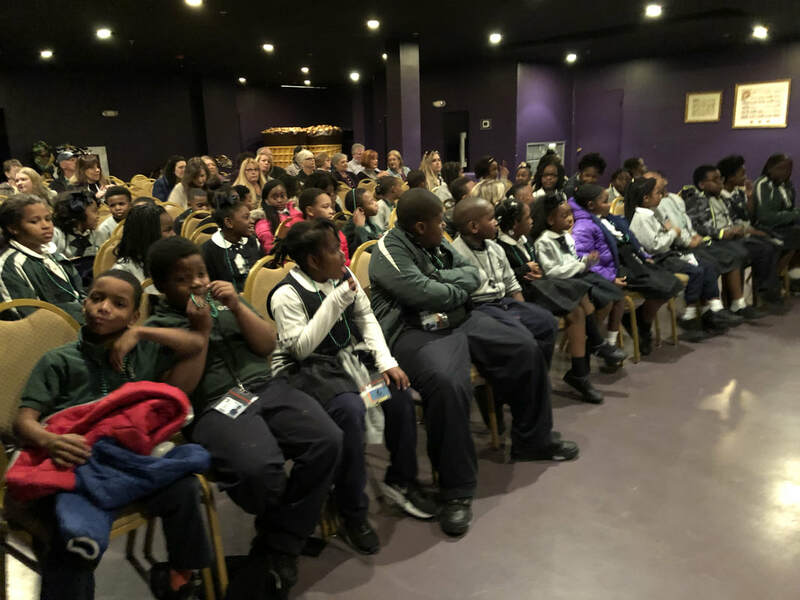 In three groups, all students toured the Mardi Gras World facilities, witnessed float design and decoration, and asked many questions about the traditional New Orleans Mardi Gras. 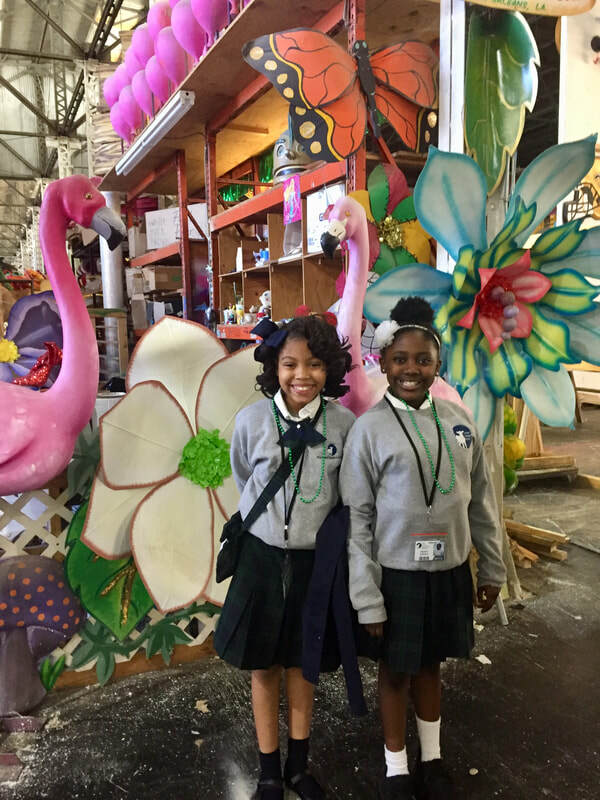 Students were most impressed with the 3D printing used to design many of the float elements for Mardi Gras. Thank you to Mardi Gras World for hosting the GSS students. Happy Mardi Gras!